How To Choose The Right Family and Pet Friendly Fence! Choosing the right fence is an important decision that homeowners with pets, particularly dogs, must make. While all pet owners may not need fences around their yards, those who do should install the right kind of barrier to protect their animals and their homes. Privacy fences are a great choice for dog owners; however, there are many other types to consider as well. The right decision depends on the home, the family, and the individual pet. Fence Type - Generally speaking, pet fences need to be solid enough that no dog or other such animal could squeeze through the bars or sections. They must provide a secure enough vertical barrier to keep them from going over or under. This means putting in a fence that reaches the ground and is tall enough to prevent jumping or scaling. For dogs or other pets that can jump or scale a fence, a six-foot barrier is recommended; however, a lower one may be sufficient for many smaller pets. In some instances, solid fences that block the view beyond the barrier can add security and reduce the desire to escape. 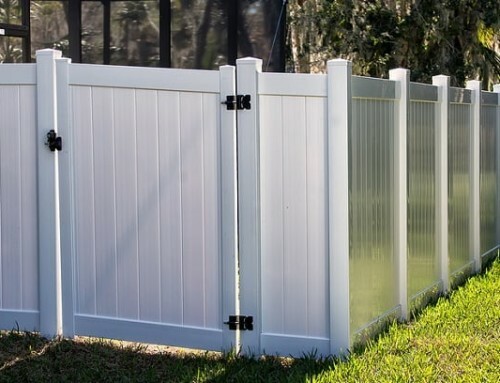 Fence Strength - In addition to being tall enough to prevent dogs or other pets from passing through the bars or rails, pet fences must also be solid. It is likewise vital that they be affixed strongly enough that stronger animals cannot push a board out or otherwise free themselves by loosening parts of the barrier. Some pets are even smart enough to work a gate latch to let themselves out. Pet Runs and Enclosures - Another option homeowners have for safe animal containment is building pet runs or smaller enclosures. Made of a variety of materials including chain link and other types of fencing, roofed enclosures may be ideal for difficult to contain dogs or other pets while providing necessary strength and security. Another consideration for homeowners looking for pet-friendly barriers is how the enclosure will look. 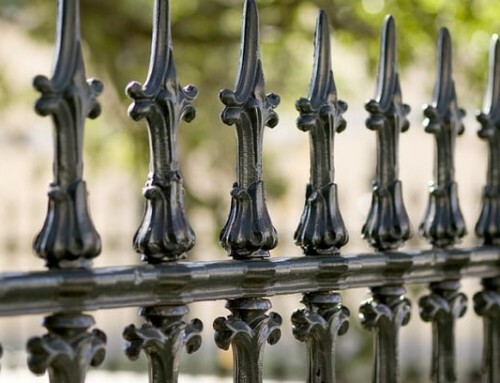 While there are many beautiful styles of residential fencing available, not all are pet-proof. 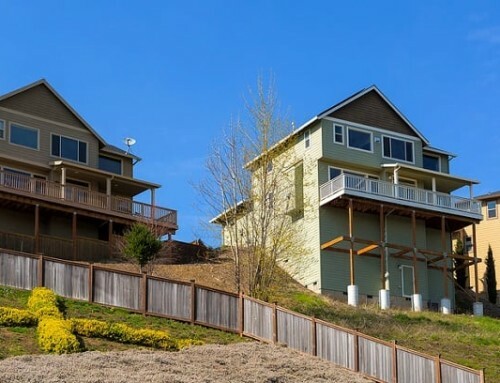 Privacy fences can serve double duty, offering an attractive option that is also pet-proof. These fences are available in multiple materials and various decorative styles that can enhance the look of any home. Post and board, picket, and even split rail may work for some families when accompanied by a small enough wire mesh on the inside to contain pets. 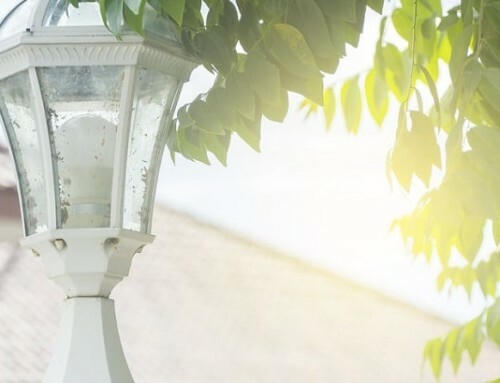 Some homeowners may choose wrought iron bars or other decorative metal options as long as the bars are spaced together closely enough to prevent escape. In circumstances where homeowners do not actually want a physical fence, electronic pet containment systems may be the answer or even secure pet enclosures that allow exercise without interfering with the look of the property. When choosing residential fences that will serve the family while safely containing pets, homeowners must first consider the need to provide a secure barrier from which pets cannot escape. After narrowing the choice, they can then choose the most attractive option that compliments the look of their homes. Whether thinking about privacy fences or some other type of enclosure, pet owners should also discuss their home and their pets with an experienced fence installer to make the right decision! Need Pet-Friendly Fencing In College Station Texas? College Station Fencing Has Many Beautiful Pet-Proof Choices! By |2019-04-16T17:06:31-05:00February 15th, 2017|Fences in College Station Texas|Comments Off on How To Choose The Right Family and Pet Friendly Fence!